Today Toronto started the King Street Transit Pilot, eliminating through-traffic on a section of King Street to allow the streetcars move more quickly. Although the project was scaled down from the ambitious fully pedestrianized King Street to only limits on through-traffic, we still think it’s an important moment in Toronto’s history. And it’s really about time. The Toronto streetcars share the streets with cars, and as a result they are constantly slowed down (often to walking speed), overcrowded, and unreliable. They are much slower than they were a hundred years ago. But think of this: 20,000 vehicles (mostly single-occupied) travel on King Street per day, compared to 65,000 people who ride the streetcar. In spite of the fact that the streetcars carry three times as many people, their users were severely discriminated against by prioritizing the use of private cars. And what about all the people who choose not to use the streetcar because it is so slow and unreliable? In anyway, this pilot project brought us back in time to a decade earlier when we still lived in Israel, and the first LRT line in Jerusalem was under construction. Part of the project included transforming the main street of the city from a car-oriented to a fully pedestrianized street. This part was the most controversial in the project for fear that it would increase traffic and hurt the local businesses, but eventually the pedestrianization became a big success that transformed the run-down street into one of the most vibrant streets in Israel. And the utility of this transit option brings together the diverse groups that live in the city. 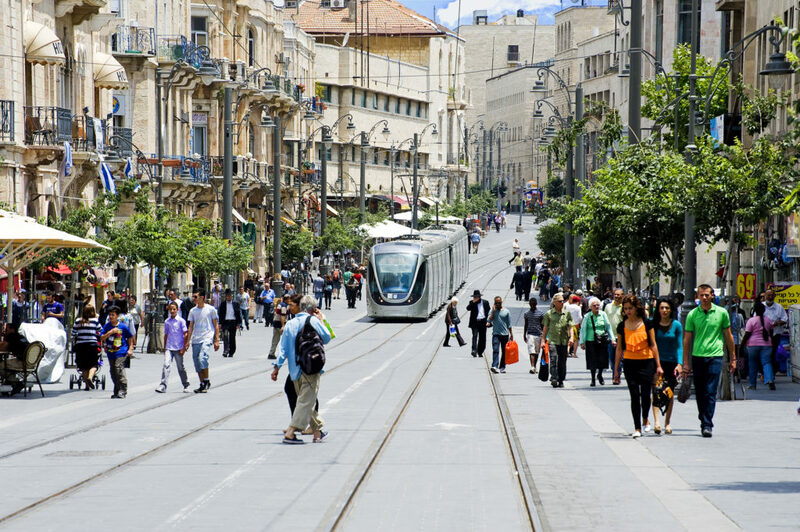 Toronto has one big advantage over Jerusalem and all the other cities who build LRT lines at great expense: it already has an expansive streetcar network that can be made into useful rapid transit. While closing streets to traffic is politically complicated, it is still much simpler and cheaper than building an LRT line from scratch. So we hope that we can make use of this big advantage.